Golden State defeated Cleveland 99-92 in a Christmas rematch of the past three NBA Finals. It also marked the third year in a row the teams have played on the holiday. An NBA "last two minutes" game report reviewing referee calls released on Tuesday said officials missed two late Kevin Durant fouls and another by LeBron James in a controversial finish on Monday. Defending champion Golden State defeated Cleveland 99-92 in a Christmas rematch of the past three NBA Finals. It also marked the third year in a row the teams have played on the holiday. 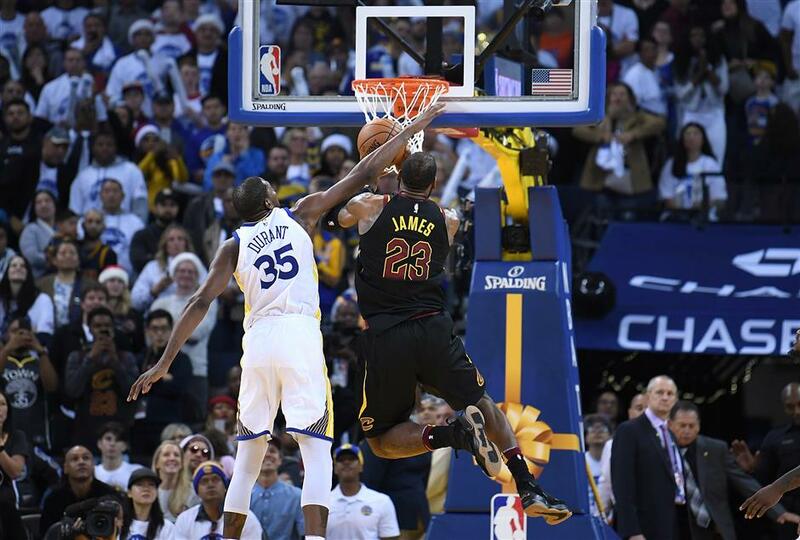 James complained about being fouled twice by Durant on late drives to the basket that were not whistled as violations, leading to the Warriors taking over the ball and the Cavaliers unable to reach the free throw line down the stretch. Durant, according to the league, fouled James twice but was incorrectly not called for a violation, James complaining in vain each time he was fouled. The first time, the referee review found Durant made forearm contact to James that affected his speed, quickness, balance and rhythm. The second time, Durant struck the arm and body of James, affecting the Cleveland star's shot, which Durant blocked. "He fouled me twice," James said. "But, whatever. What are you going to do about it?" Durant dismissed any notion he had committed a foul, saying, "He's too big for that. He's too big. That ain't no foul." The review also said Durant had fouled James seconds earlier when James was ruled to have lost the ball out of bounds. The league also said James should have been called for a foul on Golden State's Draymond Green with 33 seconds remaining, saying James held the arm and jersey of the Warriors forward, impeding his chance to grab the rebound. Kevin Durant of the Golden State Warriors blocks the shot by LeBron James of the Cleveland Cavaliers late in the fourth quarter of their NBA match at Oracle Arena in Oakland, California, on December 25, 2017.